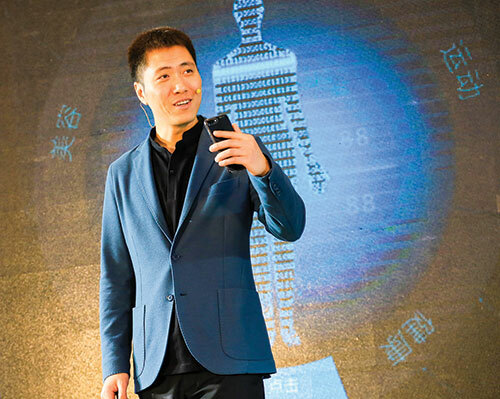 Jun Wang, Ph.D., CEO of iCarbonX, a China-based artifi­cial intelligence (AI) start-up, has announced the launch of a new digital life alliance that will aim to improve health and wellness on a grand scale. The alliance of seven omics, AI, and bio companies will work together as an “ecosystem,” Wang announced January 5 at the Digital Health Summit. iCarbonX, launched in 2015, plans to back the alliance with $400 million in venture capi­tal, to drive wellness research and the advancement of digital technology to guide individuals toward staying well. • Robustnique Corp. Ltd., a technology-driven company committed to developing recombinant enzymes and high-end cosmetics. Dr. Wang said the alliance’s ultimate goal is to detect “meaningful signals” about health, disease and aging. “We can only reach this audacious goal if we successfully inte­grate traditionally separate fields of expertise into one col­laborative ecosystem,” he said. Alliance members welcomed the opportunity and expressed eagerness and excitement to work with each other under Dr. Wang’s leadership. Bill Colston, CEO of HealthTell said he expects Wang will use his influence in China to raise “billions of dollars” more over the next 10 years—catapult­ing the alliance’s efforts, while creat­ing economies of scale to aid research. Both Coltson and Gold said Dr. Wang “understands the realities” of the kind of work he is undertaking. Their praise doesn’t come unfounded. According to iCarbonX, Dr. Wang earned a B.S. in artificial intelli­gence and Ph.D. in bioinformatics from Peking University. In 1999, he co-founded BGI, known as the Beijing Genomics Institute prior to 2008—a world-class genome sequencing cen­ter, in Shenzhen, China. While at BGI, Dr. Wang managed three rounds of fund-raising amounting to $1 billion. Next steps for the alliance are as yet undetermined, Gold said, but the companies forming the alliance have had “a large number of discussions over the last year.” Colston said the companies in the alliance have similar business plans and are making plans to partner on various research. There are specific goals planned for the alli­ance overall, which are likely to be publicly announced, he said. Peter Christey, CEO of General Automation Lab Technologies (GALT), said the alliance will help its members to leverage their combined capabili­ties to achieve higher goals than they could achieve alone.